KAHIT KONTING PAGTINGIN IS ANGELINE'S FIRST-EVER TELESERYE. From being the singer of ABS-CBN's soap operas, Angeline Quinto will star in her first-ever teleserye titled Kahit Konting Pagtingin. 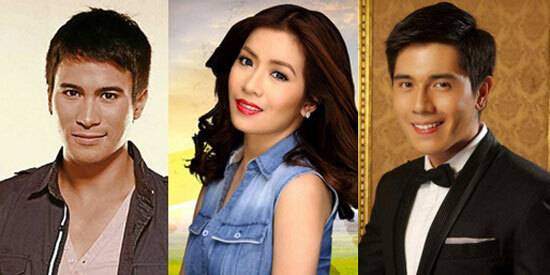 In this romantic-comedy series, she will be paired with Kapamilya heartthrobs Sam Milby and Paulo Avelino. Kahit Konting Pagtingin, which will premiere on January 2013, will also mark the return to the Kapamilya network by comedian-host John Lapus. Angeline's first teleserye is directed by Darnel Villaflor. Watch out for the beginning of a heartwarming tale that aims to bring smiles and love to viewers. Kahit Konting Pagtingin will begin airing this January 2013 on ABS-CBN.